This Premium Series 31 aluminum porcelain dry erase board features a heavy-duty magnetic surface made from porcelain enamel on steel. 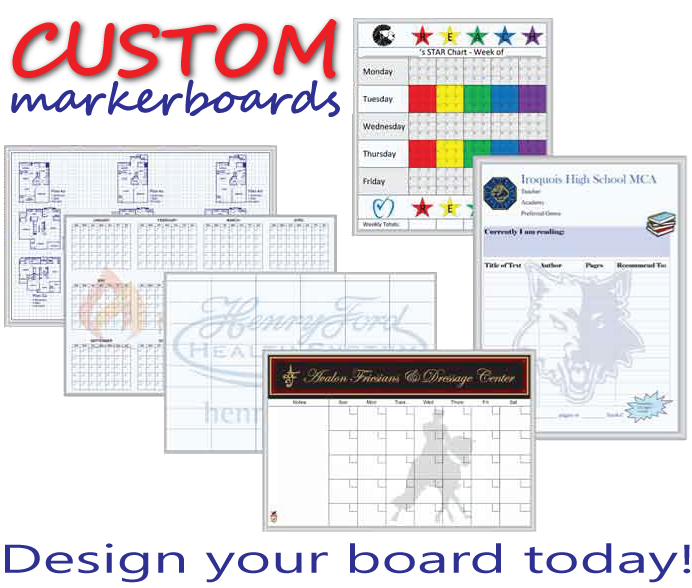 It's backed with MDF fiberboard and has an all-aluminum frame and tray, with mitered corners for attractiveness and added durability. The trim is 1-3/4 inches wide by ¾ inches deep. 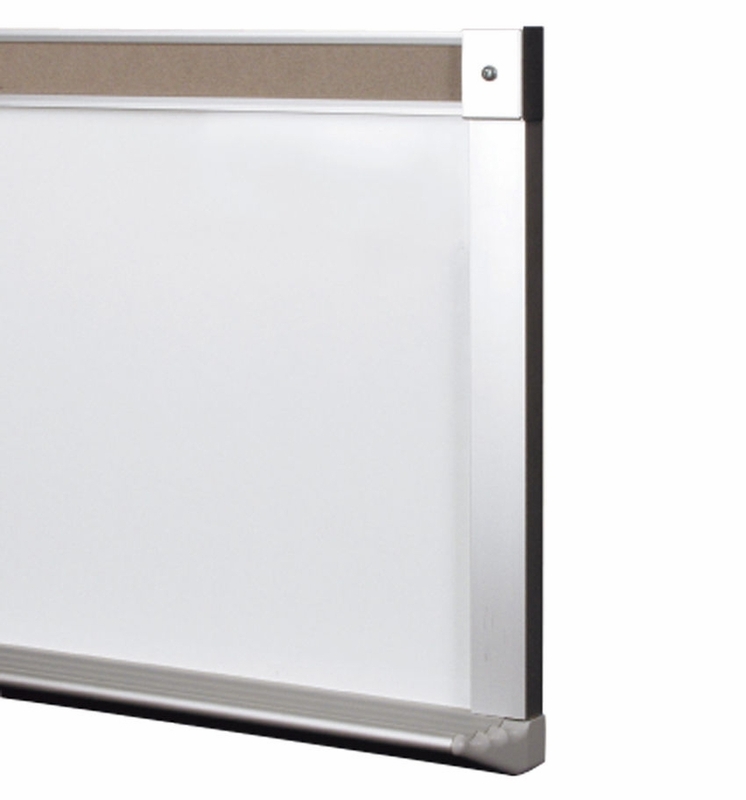 This U.S.-made dry erase board has a professional look with a clear matte satin finish, yet it's extremely rugged for years of use. 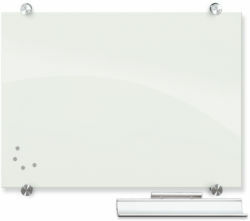 This dry erase board includes a free collection of accessories for immediate productivity in the classroom or office. 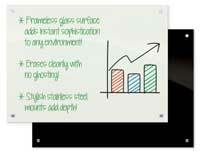 Dry erase boards with special dry erase markers provide excellent readability and several color options to effectively share information and ideas. 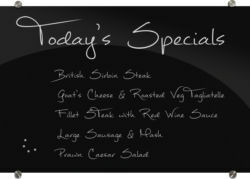 There are many different sizes available, from 3 feet high by 4 feet wide to 4 feet high by 16 feet wide. 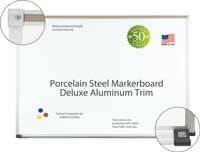 • Made of anodized aluminum for a longer life. 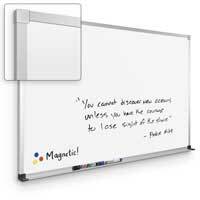 • Clear matte satin finish for greater visual appeal. • Mitered corners for a pleasing appearance and increased durability.